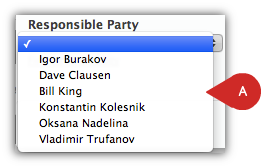 Is the resource you're looking for not available in the Responsible Party (A) dropdown menu? Further below are the most common problems to troubleshoot. 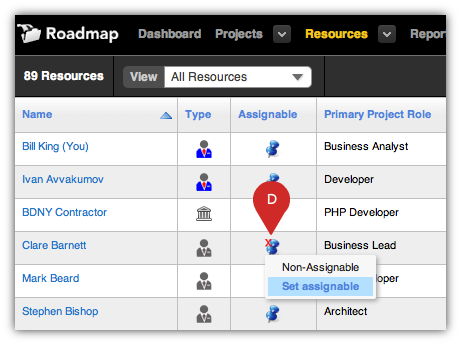 The resource must be explicitly granted to the project in Basecamp (B) or Basecamp Classic (C) before it is imported into Roadmap. 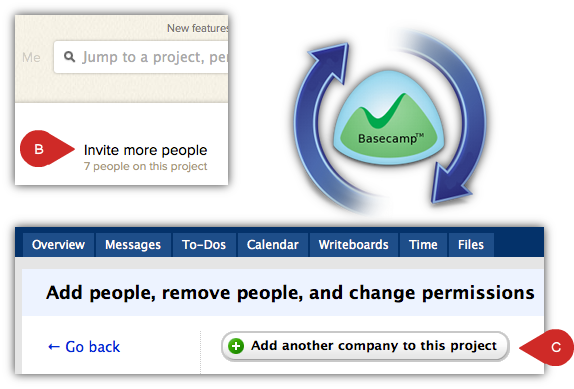 If the resource you'd like to assign isn't in the resource list, grant the resource to the project in Basecamp; and re-import the project into Roadmap. Check to see if the resource has been flagged as non-assignable. Scroll down to find the resource and if there is a red "x" on the pushpin (D), the resource is non-assignable. Click the icon and change to Set assignable.